A lot has been written recently about the algorithms that Facebook and Twitter use to deliver news and stories. That we live in a bubble tailored especially for us by the social media giants. That our views are reinforced and never challenged in these echo chambers. We create tribes that share our ideas and then filter news and information to ensure that we think our side is always right. Is this actually new? Newspapers and TV news have always taken positions and promoted their view of the world. The Daily Mail tribe is pretty different to the Guardian tribe. We tend to mix with people who share our viewpoints – at clubs, societies and in neighbourhoods. Just to make sure we don’t confront other views we have that wonderful social etiquette that restricts our conversations to the non-polemic and avoids politics and religion. Maybe all that social media actually does is turbo charge the process – the numbers and the reach dazzle us. What could be more convincing than thousands of likes and shares from across the country or across the world? Well this is all true, up to a point. But it is not the whole story. The key part is that we humans have an incredibly strong drive to learn and make sense of the world. We need this drive as infants to work out what is going on around us and to develop the behaviour we need to survive. Over the years we create belief systems that serve us – what works, what doesn’t work, what is safe and what is dangerous. This extends from our simple day to day habits to our most profound political views. These beliefs set the rules and allow us to quickly judge what to do in the thousands of decisions that we make every day. This is analogous to the Fast Mind that Daniel Kahneman describes. It becomes what some might call intuition and it is incredibly valuable. But it is not infallible. Some of the beliefs in that system are outdated – they were implanted years ago, even in childhood, and have never been challenged. Other beliefs are just plain untrue, but were accepted without thoroughly checking for counter-evidence. This belief matrix is what we live in – it runs our daily lives and enables us to function. We don’t think about it much. We just swim about in it as a goldfish swims in water – most don’t even realize it is there. Another very powerful drive for humans is the drive to defend what we have. Territory, acquisitions, status – we hate to lose anything. Loss aversion is a very strong motivator. This also applies to our beliefs, as much as it does to anything else. We are happy in our belief matrix. It works for us. It is difficult and challenging to change. We don’t want to lose it. So what do we do? We filter. We only pay attention to things that we believe are important. And those things are heavily biased towards what we already believe or want to believe to be true. For a graphic example of how much we can filter you only need to watch the Monkey Business Illusion video below. When we do actually hear or see information that conflicts with our belief matrix, we normally apply some rationalization to weaken the threat. We discount the value of the source – he or she is a fool. Or the integrity of their motives – they would say that wouldn’t they? We say that the data is wrong. Or biased. We ignore the experts, we deny the studies. We subconsciously but fiercely defend our view of the world, our belief matrix. 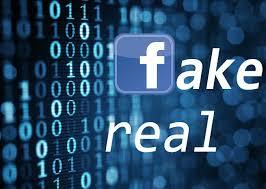 We rigorously apply our own personal algorithms, without regard to whether they track reality. It means that the world as you see it is not the world as it actually is. Your map is a useful aid for navigation but it is not the territory. As an individual your assumptions about how the world works might just be plain wrong. And in friendly conversation (or social media) with like-minded people, you only reinforce these beliefs. You create a version of the world in which you can live comfortably with your friends – your own version of the Truman Show. On some subjects we relish the differences. Over football and music for example we can debate, take the micky, shout, raise eyebrows and then get on with getting along. We all love those crazy debates about who is the best, or who is a fraud. These debates, we all know, are expressions of completely biased points of view – all based in ignored facts or facts interpreted through a distorted lense. But (normally) we accept that these debates are fun. We participate, already knowing and accepting that we are biased. But politics is clearly stronger, emotionally. When one great swathe of the population fervently believes that another swathe is selfish, cruel, and cold hearted something else is going on. The filters and the biases are both overwhelming and subtle; invisible to the individual who has them. Through this invisibility, the belief systems solidify and become something like an internal reality. And politically, this leads to extreme and unthinking positions. How can anyone but an idiot support Jeremy Corbyn / Donald Trump as their leader? 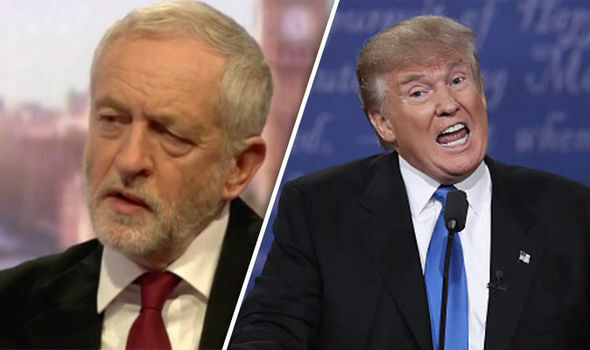 Why can’t people see that Jeremy Corbyn / Donald Trump is a new kind of leader? The solution? The most important and basic key is that you have to be open to alternative views of the world. The only way to do this is to introduce a contrasting point of view, a new version of the narrative. Take away the filters and challenge the algorithms. Of course this is not at all comfortable and a common outcome of any challenge (normally referred to as criticism) is defensiveness, resentment and, perversely, increased self-justification. It helps if the challenges are delivered by people who you like and respect rather than a rival or enemy – but wherever it comes from is of value. You just have to be aware that your undying faith in your own opinions is completely unfounded. Then sometimes, if you’re lucky, a light suddenly goes on. There is an ah-ha moment. The belief matrix shifts and new ways of seeing appear. New arguments can be heard. Anything can spark that change – one question, one image, one conversation. It can all happen in an instant. You will have by-passed your filters, and thus, your own personal algorithms will be disabled. Just be aware that you will then install shiny new ones! Steve Soden studied philosophy and psychology at Oxford University, majoring in Experimental Psychology. Following his studies, he went into business as a marketing executive. Over his 40 year career he has worked in large multinational corporations at a senior international level and has also been involved in early stage ventures. Throughout his career he maintained his fascination for psychology, and in particular the psychological dynamics within teams and organisations. He has studied a number of approaches in this field, is an NLP practitioner and a member of the Association of Business Psychologists. He believes that everyone benefits from some understanding of how our human minds work. Steve is now an experienced non-executive director and board advisor. He develops marketing and business strategies and supports effective implementation. He has a strong reputation as a mentor. Steve has lived and worked in Spain, Italy and the USA.